The mescaline cactus used to be used in sacred rituals in Mexico. Therefore it’s one of the oldest products from Avalon Magic Plants. 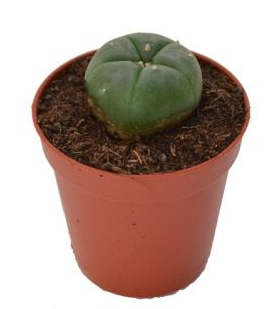 In our webshop we offer several sorts of mescaline cacti, such as the San Pedro cactus and Peyote. In this blog we’d like to tell your more about these cacti. San Pedro: this cactus was always used for rituals of the Indians in America, and the official name is Echinopsis pachanoi’. In English ‘San Pedro’ means ‘Saint Peter’: the bearer of the key to heaven. This has to do with the hallucinations you get from this cactus, which make it seem like you’re in heaven. Trichocereus peruvianus: in our webshop you can order this cactus as seeds. After a year the cactus will germinate and take root. This may take a long time, but after this time the cactus will grow very fast, sometimes as much as 10 till 50 centimeters per year. Actually, growing a mescaline cactus works the same as with a regular cactus. During the first step you put the seeds in the soil and pebbles. Are you going to grow cacti in the winter? Then you have to keep in mind that the cacti store their nutrients. This means that they die if you give them too much water. So make sure that you only add water once the soil has dried out. We also advise you to put the cactus in a place with lots of sun and heat, because they live the best in such as environment. Mescaline can lead to several types of experiences. 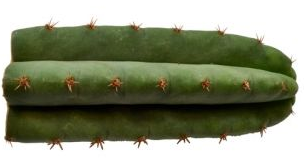 In many cases people feel euphoric after using this cactus, and they become more aware of certain things. Most people describe this as a great experience, but there are also a number of users who feel anxious about it. Do you have questions about the effects of mescaline, or the use of it? Please feel free to contact us!